Adventure bikes are super capable. Are they the right bike for you? 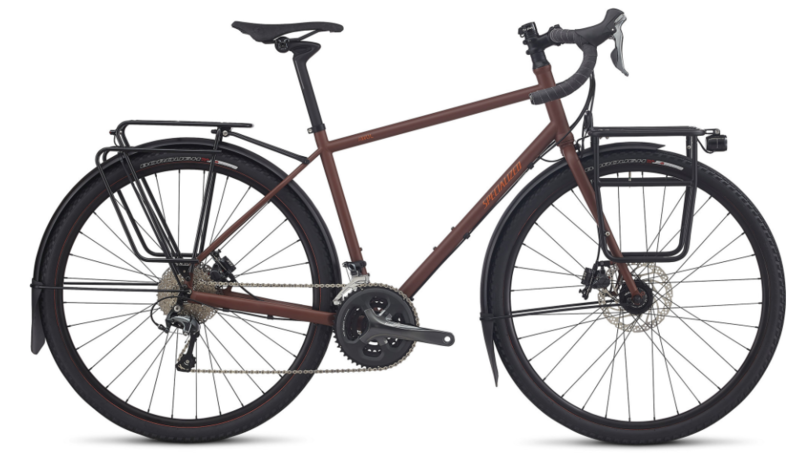 Over the past few years, a new category of bicycle has been developing – The Adventure Bike. Although these Adventure Bikes may look like a road bike, they offer features that allows for ridding off road trails. With such versatility, could these bikes really do it all? Why are these adventure bikes different? Where adventure bikes differ from a road bike is the overall position. adventure bikes typically have a higher bar and shorter top tube than its road counterpart. Also, some Adventure bikes can handle a mountain bike tire. Now you may be wondering “if you can fit mountain bike tires in these bikes, what makes them different from a mountain bike?” I’m glad you asked. Rather than a mountain bike geometry that is focused on quick handling and maneuverability, Adventure bikes geometries focus on stability. Where can you ride an adventure bike? Adventure bikes can be ridden anywhere. The general position on these bikes allows the rider to be comfortable and in control on all types of surfaces. Therefore, riding off road can be as manageable as riding on the pavement. Additionally, adventure bikes can accept narrow road tires, large mountain bike tires, and every size in between. These tire options lend to the Adventure bikes versatility. Also, keep in mind that Adventure bikes all use disc brakes as well, so stopping won’t be an issue even if conditions get poor. Can You Carry All Your Stuff? The adaptability of an Adventure bike is another great reason to own one. Assuming you want to take multi day trips and need to carry camping equipment, food, clothing, etc. Adventure bikes are built with dozens of braze-ons (threaded inserts that allow you to bolt racks, bottles and fenders to your bike). Many adventure bikes come stock with front and rear racks, so carrying your gear is never an issue. Don’t be concerned if you aren’t into the rack and fender look, all these bikes still look great unloaded. Is There Anything an Adventure Bicycle Can’t Do? Yes and no. Technically, an Adventure bike is stable enough to be ridden on almost any surface, but it won’t excel on all of them. For instance, while they look like a road bike, they don’t have the same efficiencies. In the same fashion, Adventure bikes are not as nimble as a mountain bike and won’t offer the quick handling you would want to attack your local singletrack riding. Therefore, while an Adventure bike may be the best choice to tackle all terrains, it won’t offer the same ride as a bike built with a more specific purpose. Has your interest been piqued? If so, I encourage you to head over to your local bike shop and take a test ride. Because of the versatility, efficiency, and comfort of the Adventure bike, more shops are stocking them than ever. This entry was posted in News and tagged Adventure bike, Adventure Bikes, Adventure Cycling, Adventure Cyclists, bicycle adventure, bike adventure, bike packing, bikepacking, cycling adventure, Gravel Bike, Gravel bikes, gravel cycling, gravel grinding, grinduro on March 26, 2018 by John Brown. For any cycle touring vacation we are blessed to live in one of the most beautiful and diverse countries in the world. So take some time to explore and make the most of your next bike adventure! 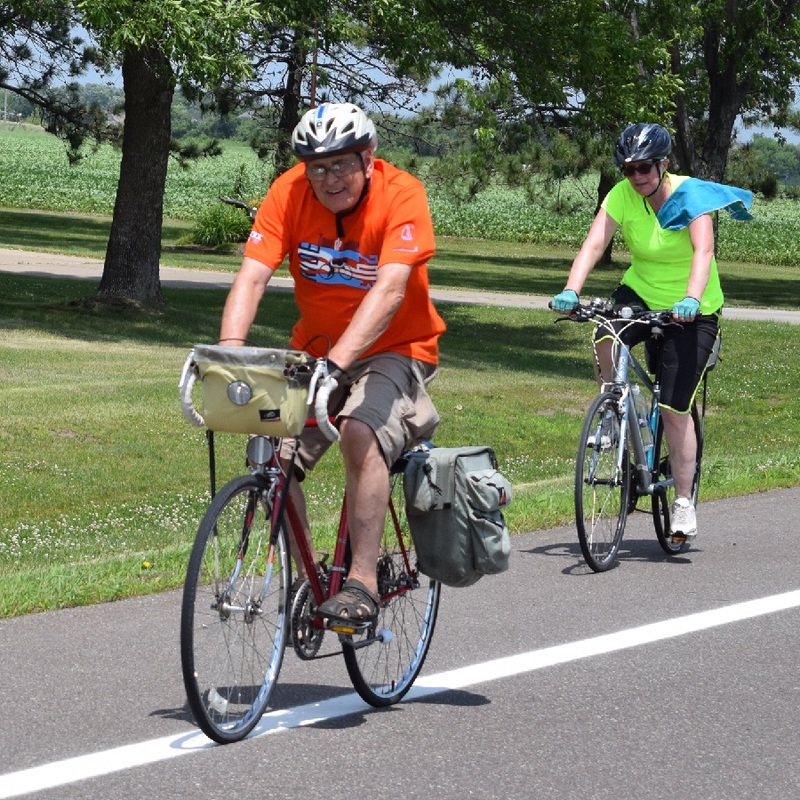 Bicycle cycle touring is much more labor intensive than simply heading out for an afternoon bike ride. It’s both physically and mentally exhausting. Because cycling is the focus of your vacation, it can be tempting to push yourself a little harder – cycling 100km each day until you are completely burnt out. Too much cycling each day could ruin your vacation and leave you feeling saddle-sore and unhappy. Instead, set realistic daily targets and take it easy. Remember that the destination isn’t necessarily what’s important. Take the time to enjoy your surroundings and the ride as you get there. Taking care of your bike is vital: a good bike is key to having a great vacation. Simple maintenance such as cleaning and oiling the chain when needed can go a long way to ensuring your bike is ready to go the distance. Keep your bike clean and pack basic tools and a repair kit to keep you on the road. You may also wish to carry basic tools and a puncture repair kit. If you carry panniers on your bike, a repair kit for those may well be useful too. For a longer journey, you may wish to consider cycle insurance. This insurance can be helpful in case your bike sustains an injury that you are unable to repair by yourself on the road. If you want minimalist low key touring then credit card touring could be the right option: just you, your credit card, and the open road. 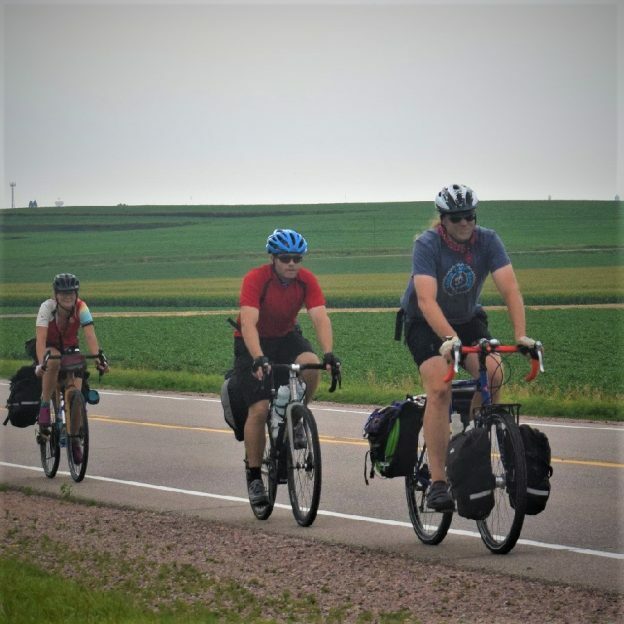 With this type of touring all you have to carry with you is your basic cycling gear and clothing (which should fit in your panniers or inside a small backpack). Then, you simply carry a bank card or your allocated travel money to pay for food, accommodation, and other supplies as you go along. This is the most low hassle and unencumbered way to travel, although it does take a certain degree of bravery to travel so lightly and without a formulated plan. Skin cancer is a very real threat. There are over 5.4 million cases of melanoma skin cancer being diagnosed in the USA each year. Therefore, no matter how light you’re packing, it’s important to protect your skin as you travel. Pack a high SPF factor sun lotion and ensure you wear a lightweight long sleeve shirt to protect your arms as you cycle. Nothing hampers a great cycling tour like the discomfort of sun burn. Carry enough water bottles and refill them often. Dehydration can come on quickly and leave you feeling sore, sluggish, and with a terrible headache. Running out of water in the middle of nowhere whilst enjoying a difficult trail can leave you feeling panicked. It can ruin an otherwise great day. Keep hydrated and drink plenty of water whenever you have the opportunity. Your water bottle is one of the most important things you will carry with you on your ride. A Cycle Touring Vacation is a Time to Explore! Finally, don’t be afraid to explore and make the most of your adventure! Get off the beaten track, leave the main road, and head onwards into the middle of nowhere. Don’t worry about what other people think about your decision to take a cycle touring vacation. What should you do instead? Just enjoy it. With your bike for company, this could well be the best and most exciting vacation you’ll ever have. So take time to explore and make the most of your next bike adventure! 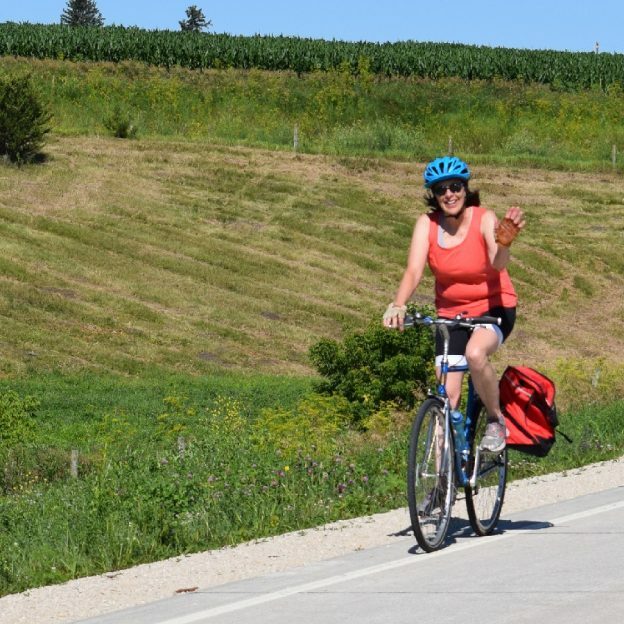 This entry was posted in News, Picture of the Day and tagged #adventurecycling, #biketourism, #nextbikeadventure, Adventure Cyclists, Bicycle Tour Network, bike tour, bike vacation, cycling vacations, HaveFunBiking, multi day bike ride on September 8, 2016 by Jess Leong.